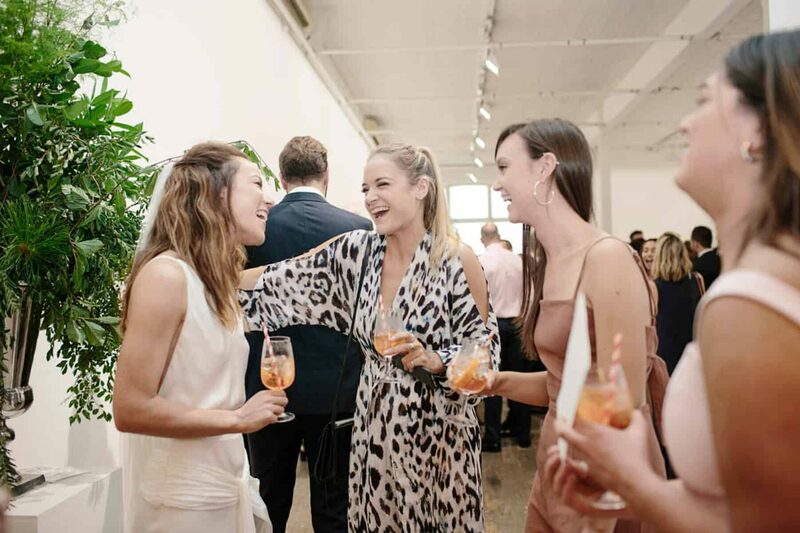 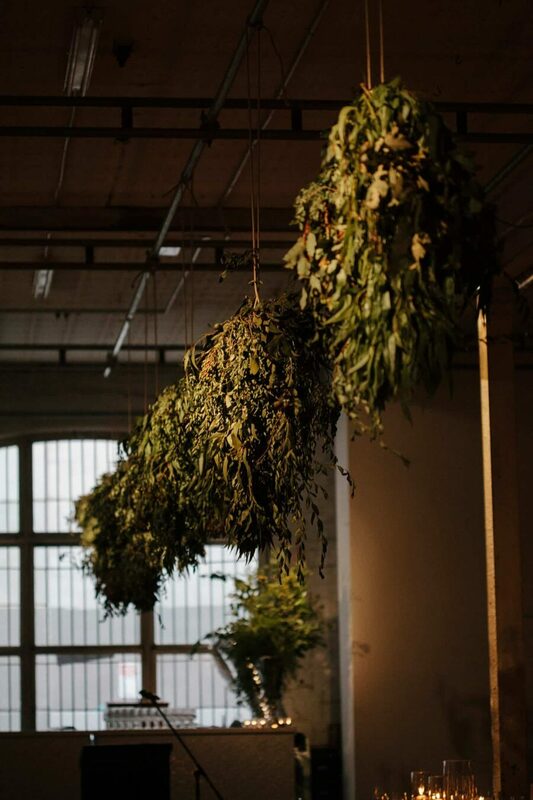 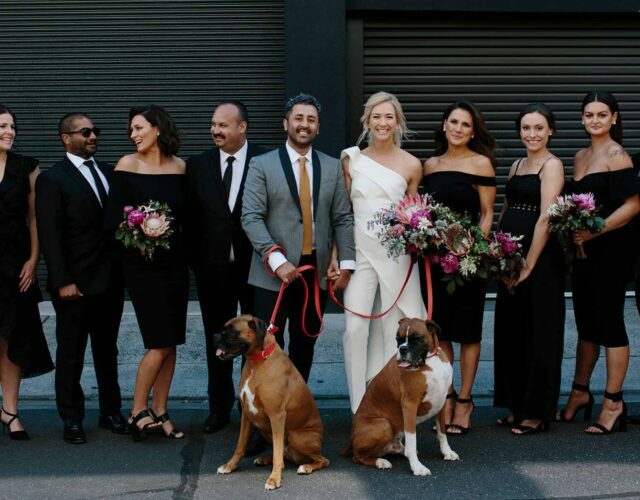 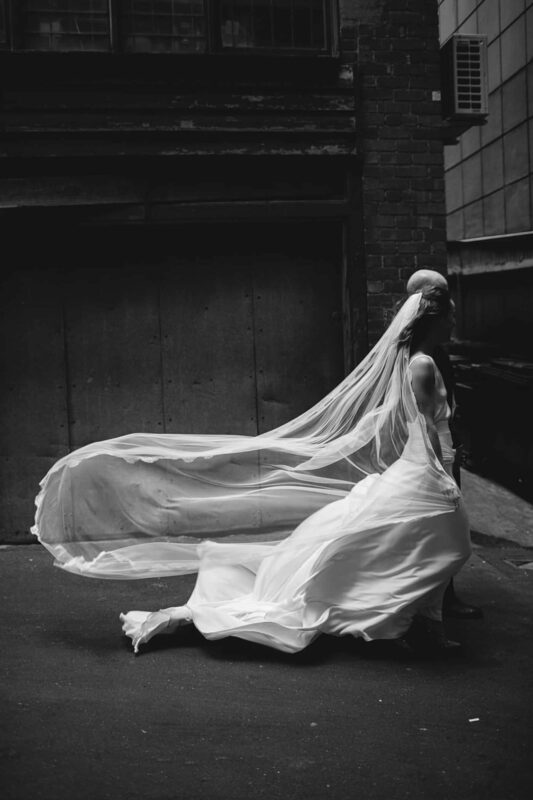 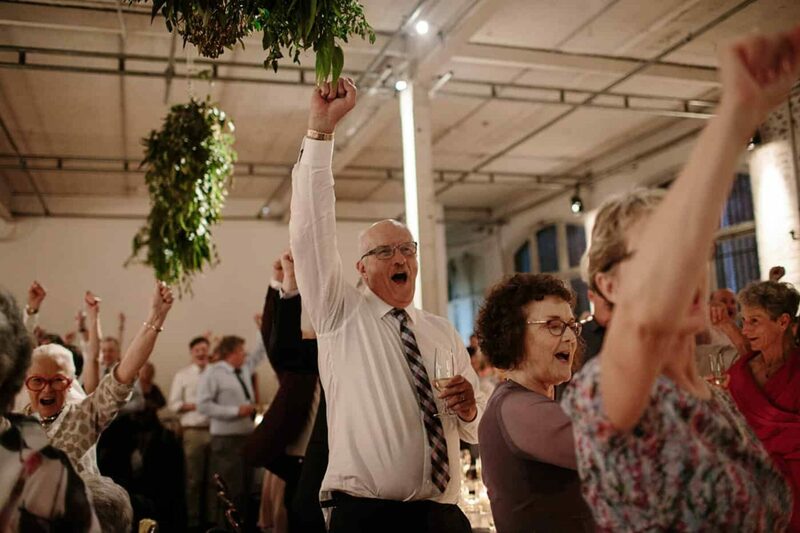 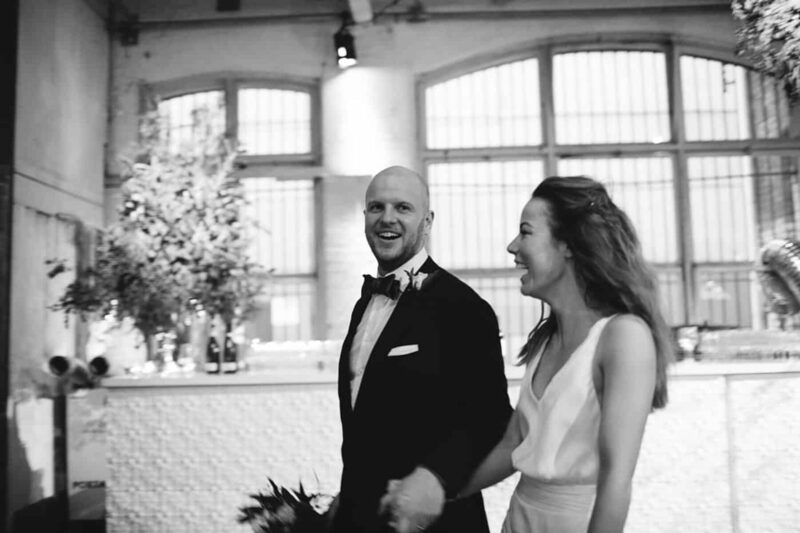 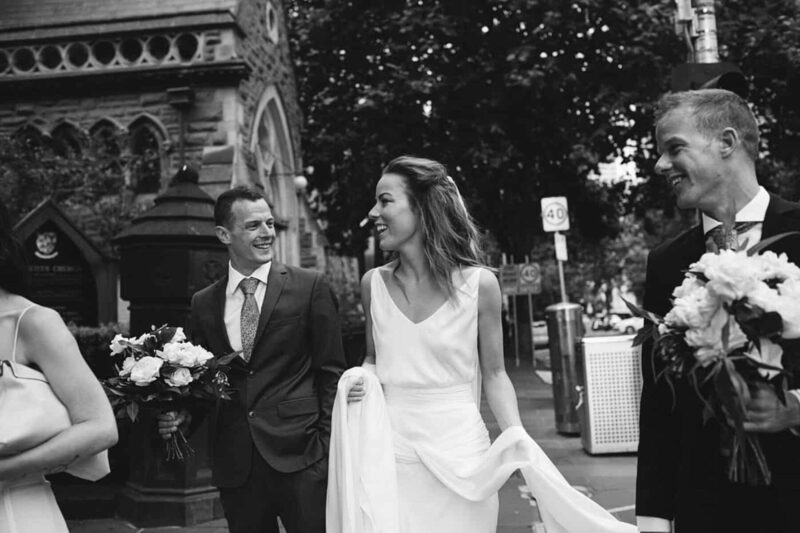 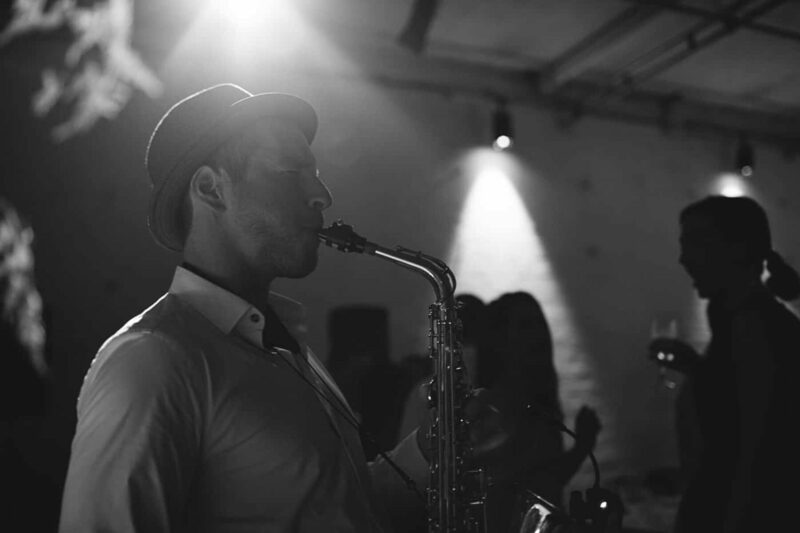 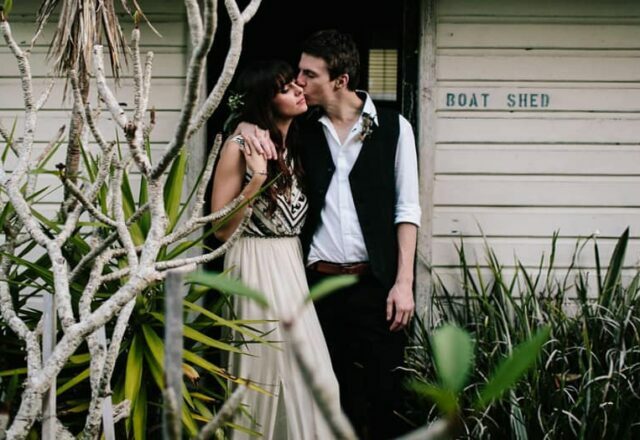 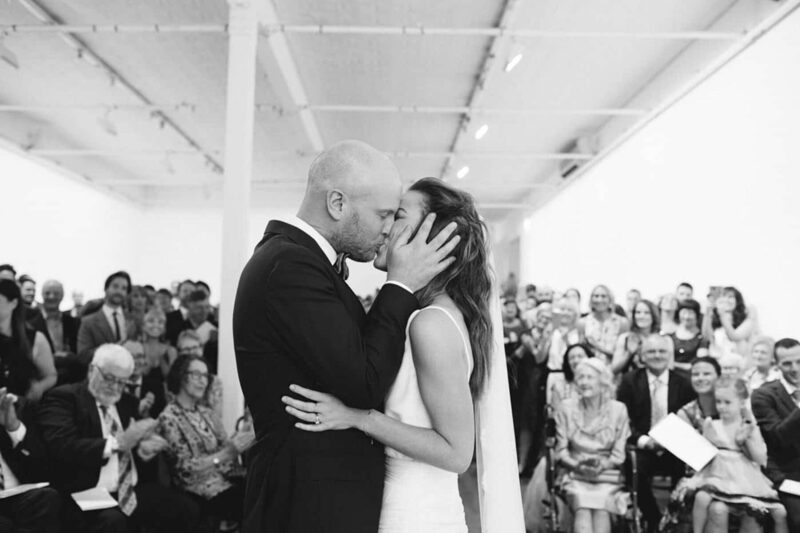 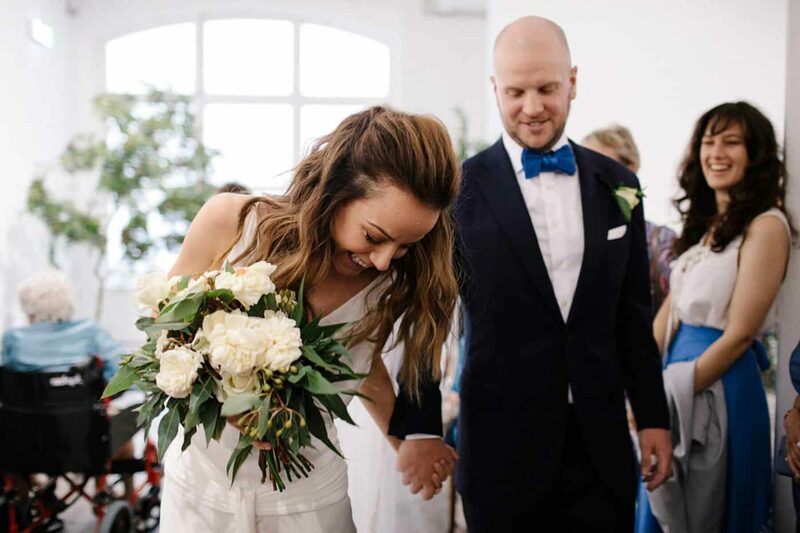 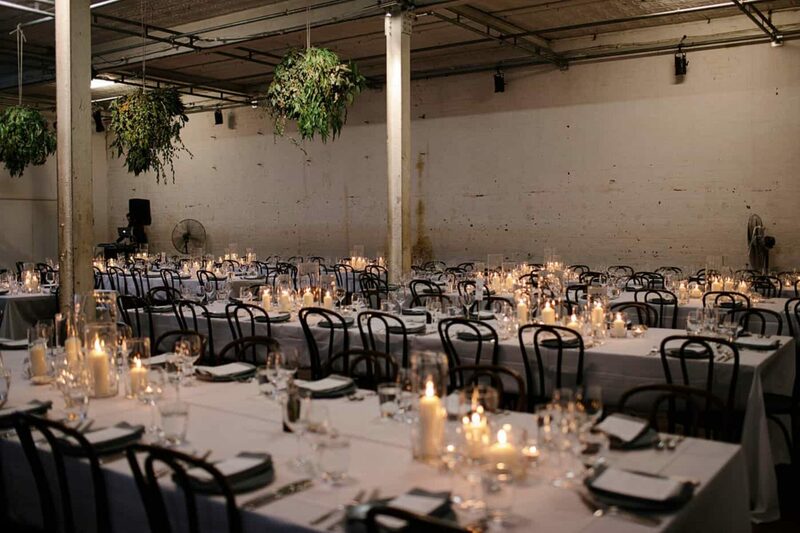 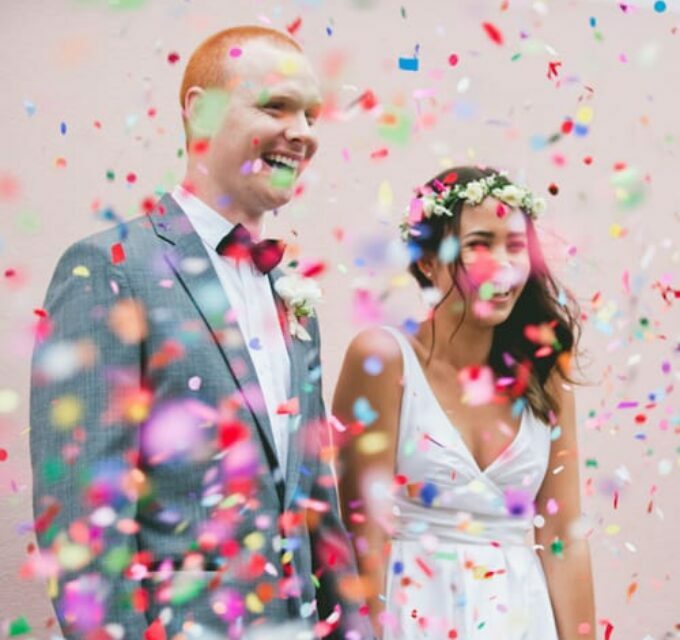 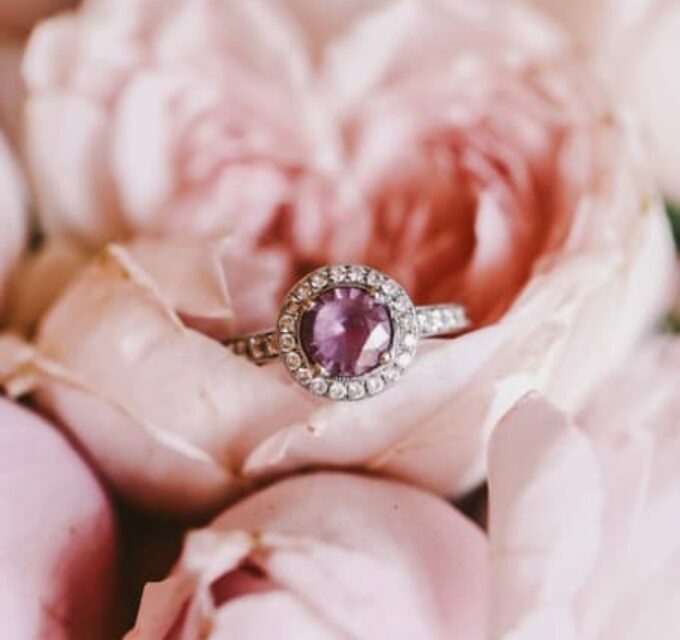 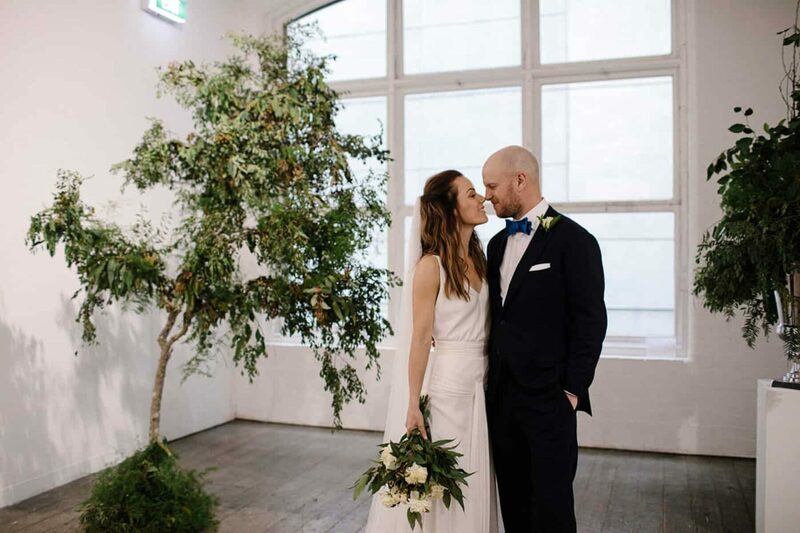 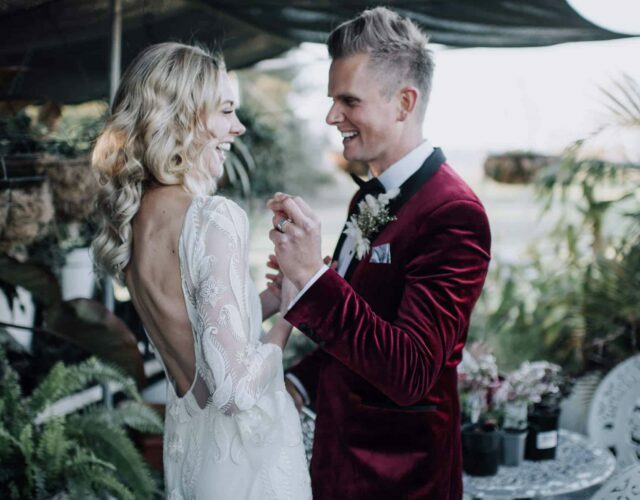 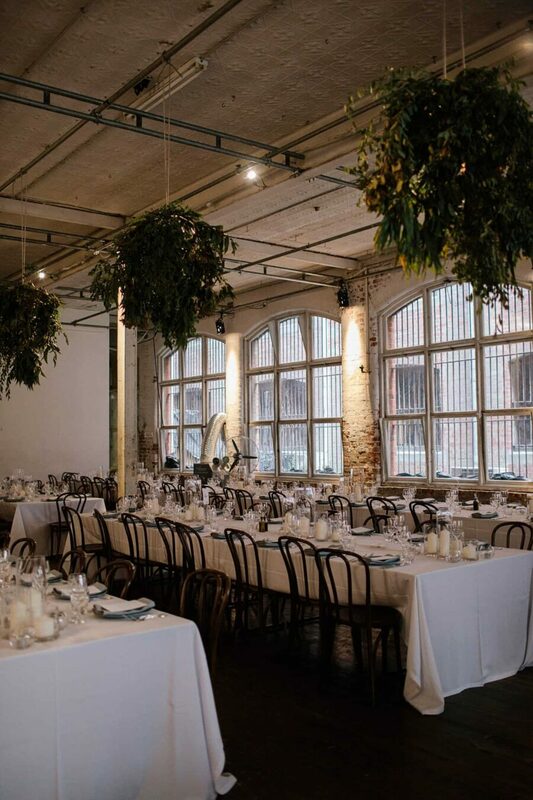 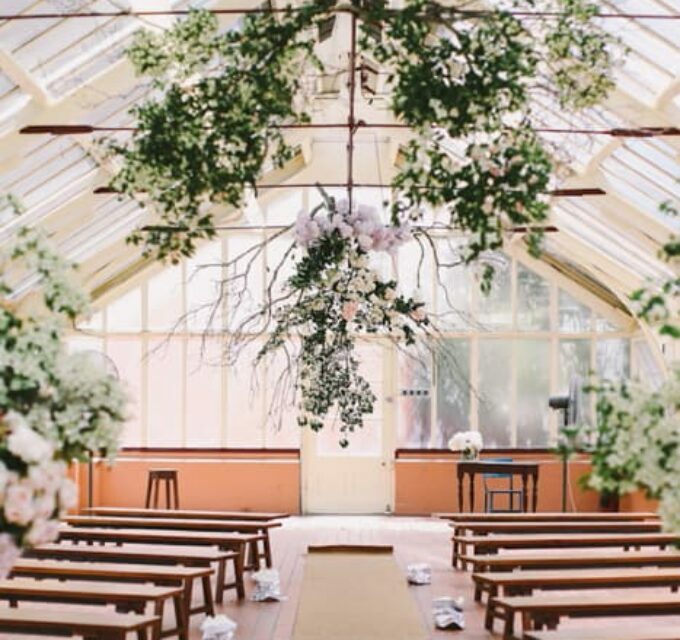 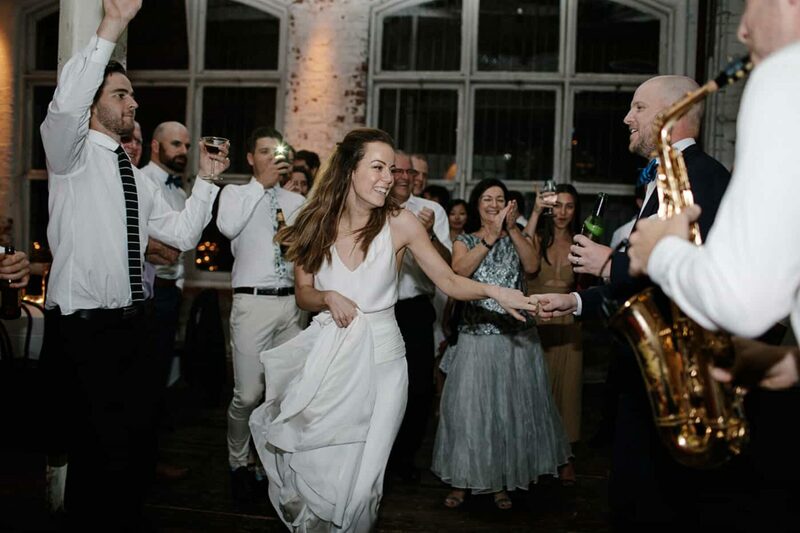 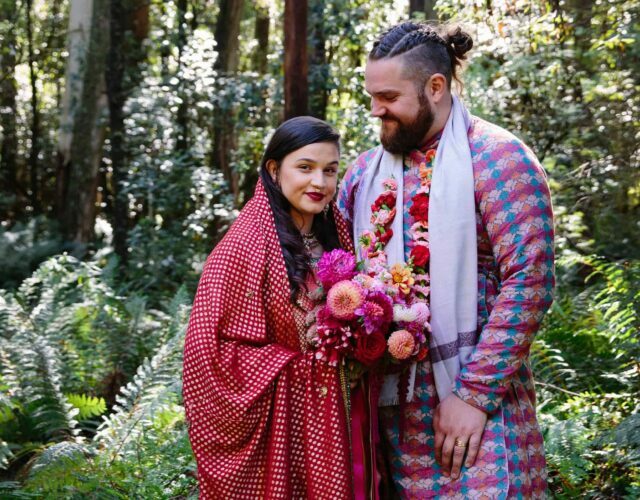 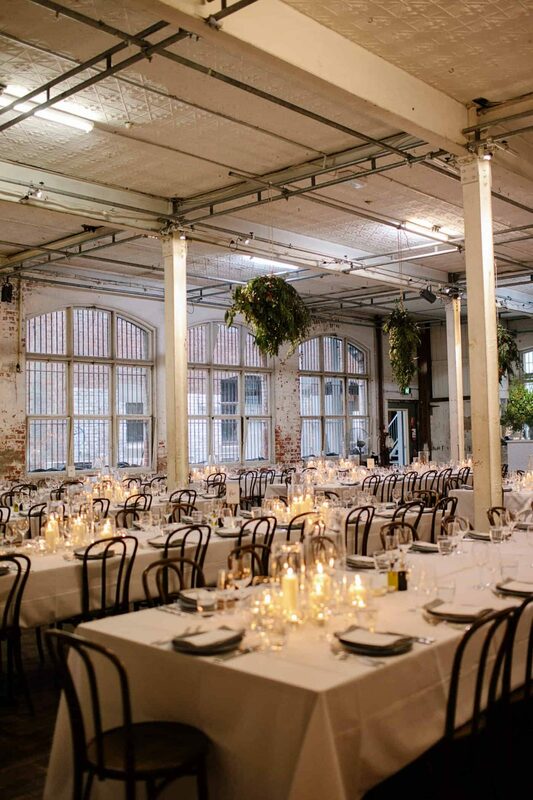 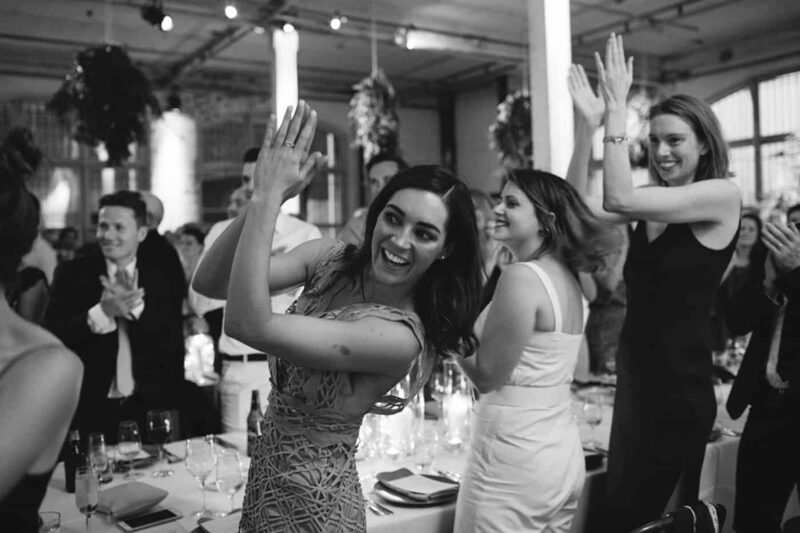 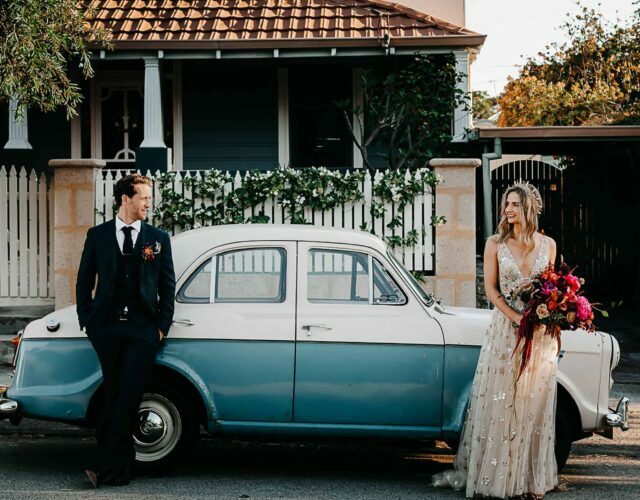 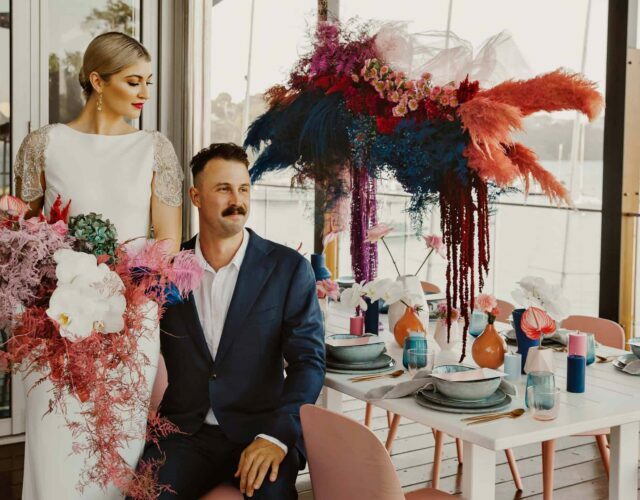 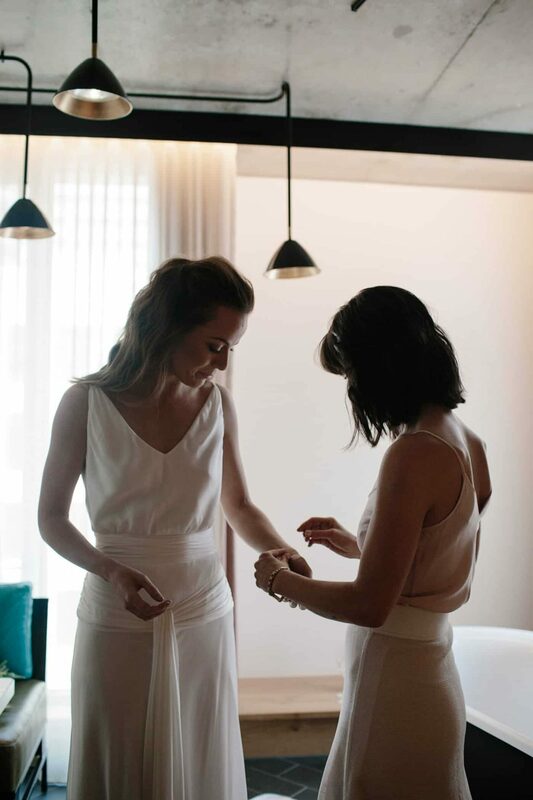 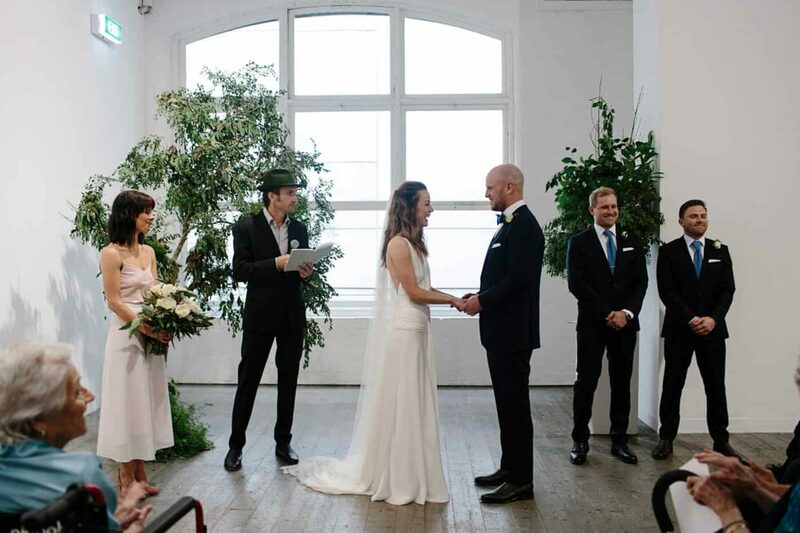 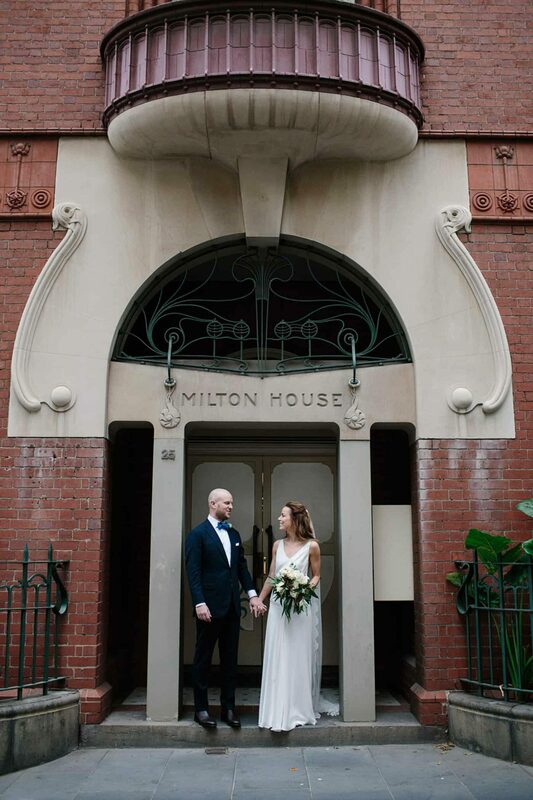 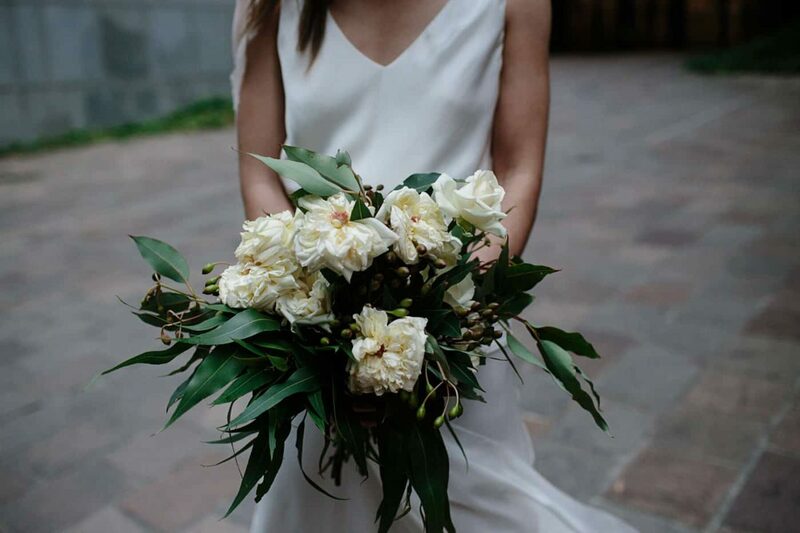 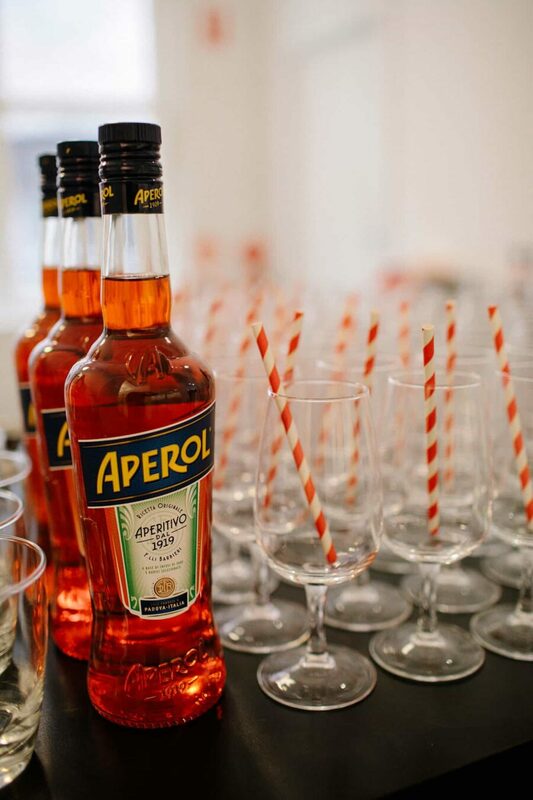 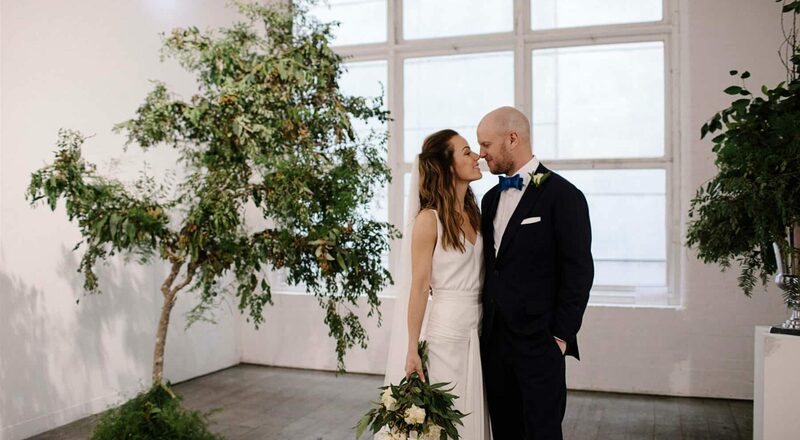 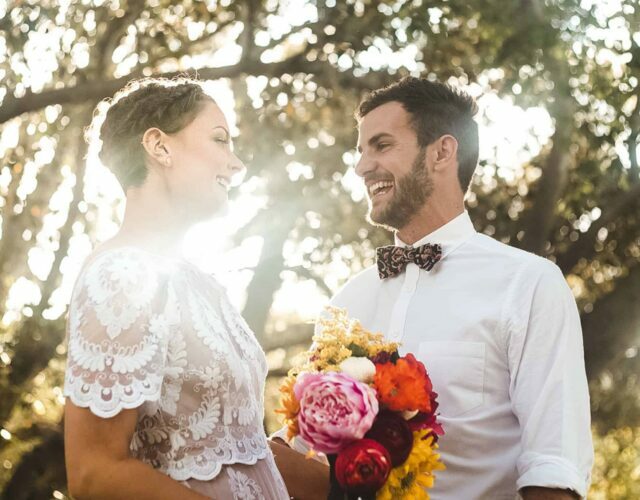 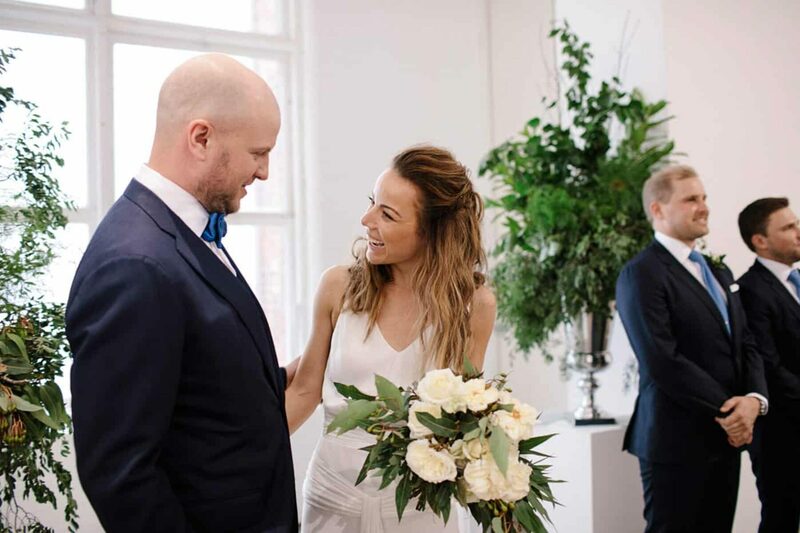 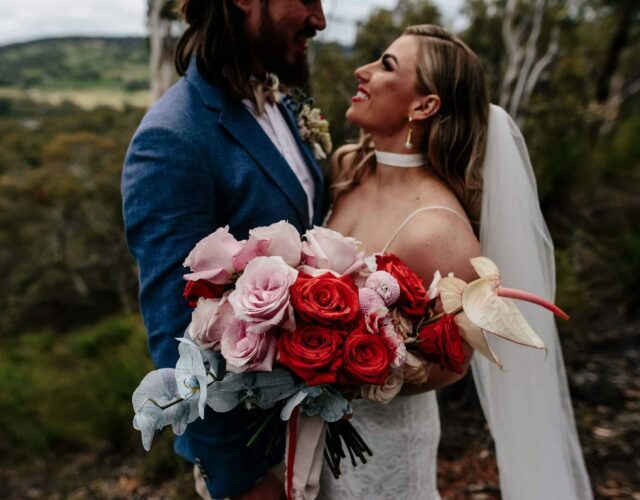 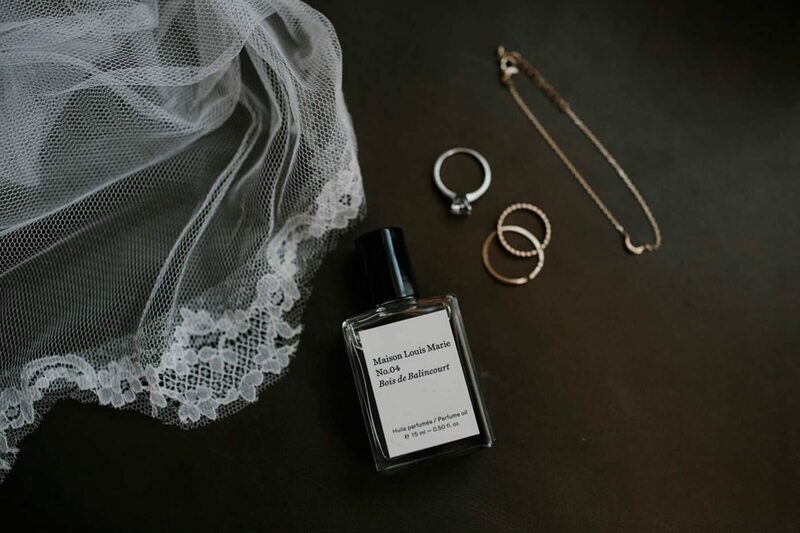 Phoebe and Luke, who now call Brooklyn home, brought a bit of New York to their Melbourne wedding, choosing the lofty warehouse setting of Fortyfive Downstairs to say their forevers. 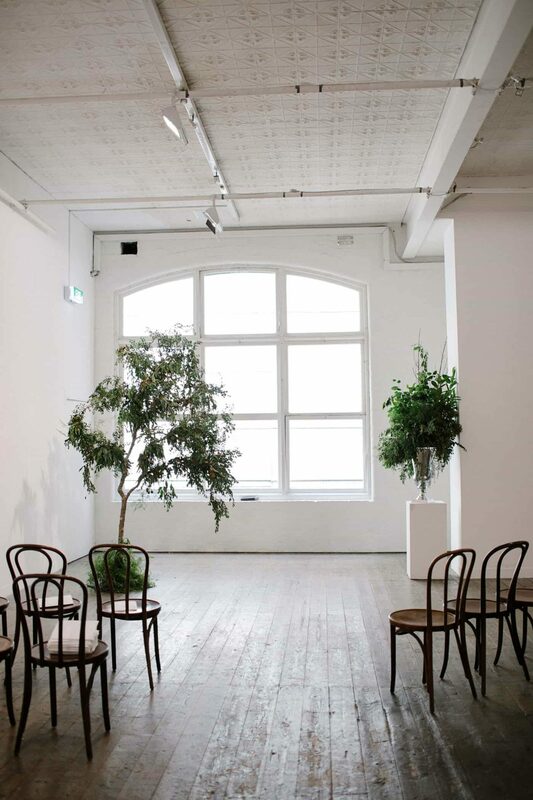 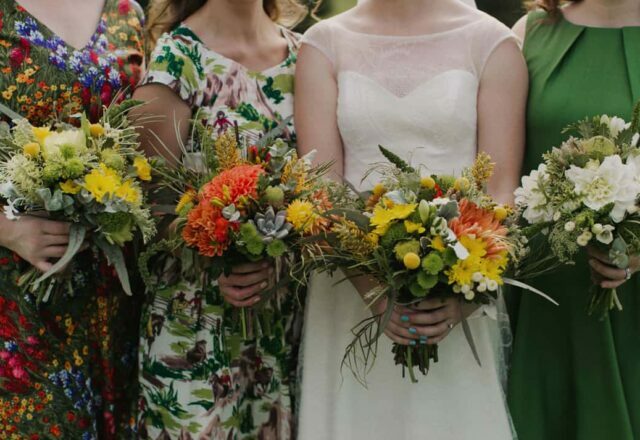 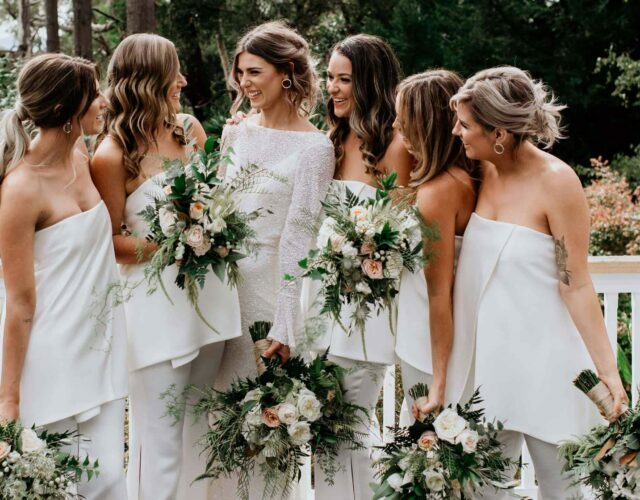 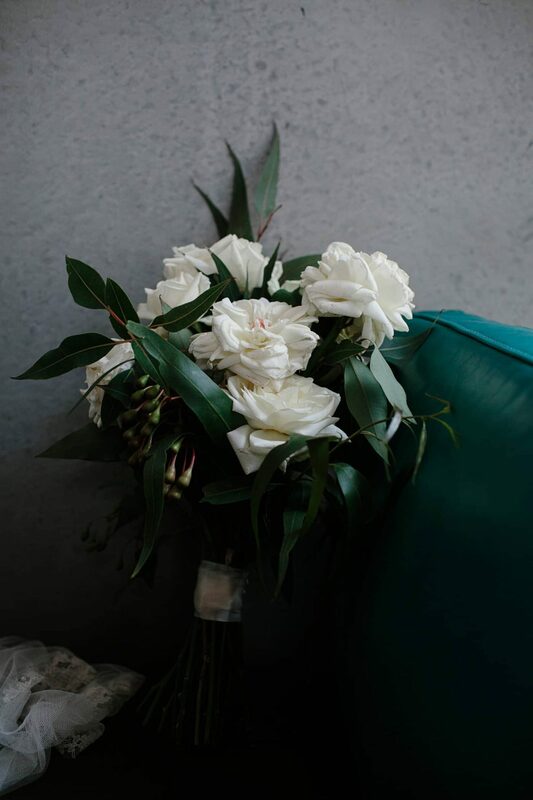 Photography duo It’s Beautiful Here were behind the lens for the understated affair, which centered around pared-back elegance with a fresh green and white palette. 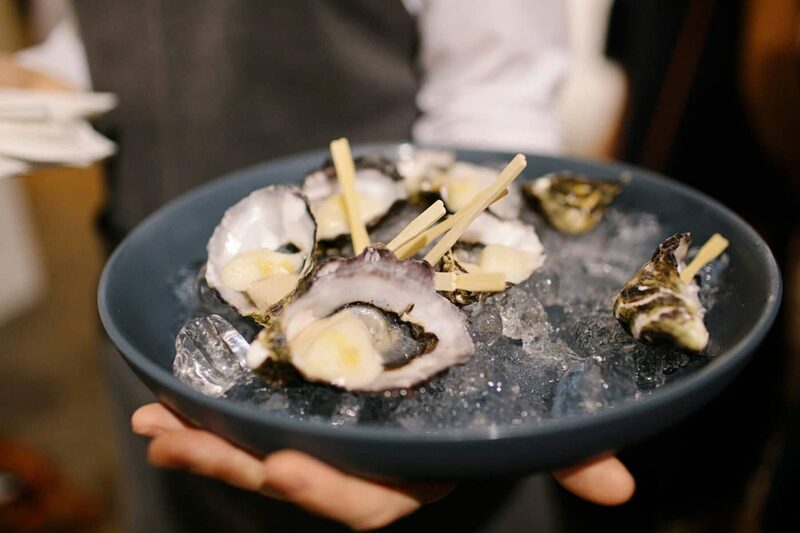 Guests enjoyed a share style menu by Ed Dixon Food Design featuring lamb and barramundi, followed by canapé style desserts. 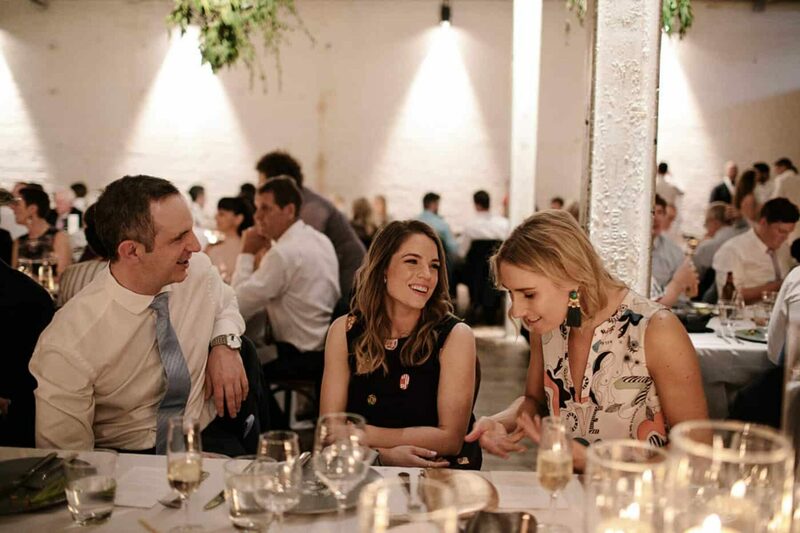 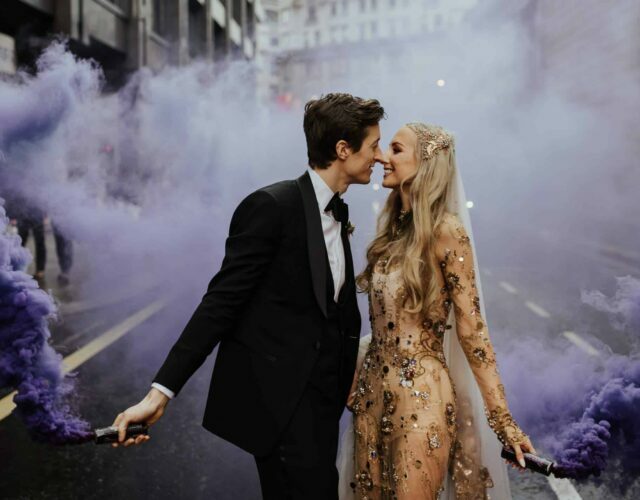 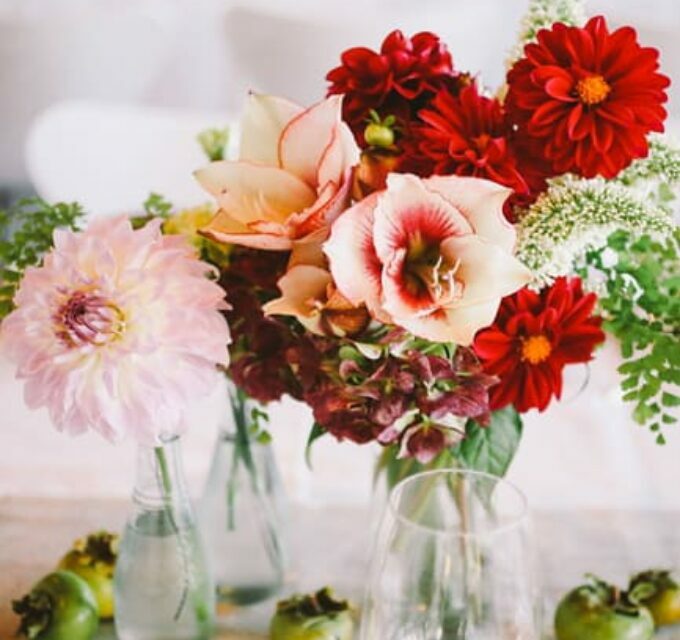 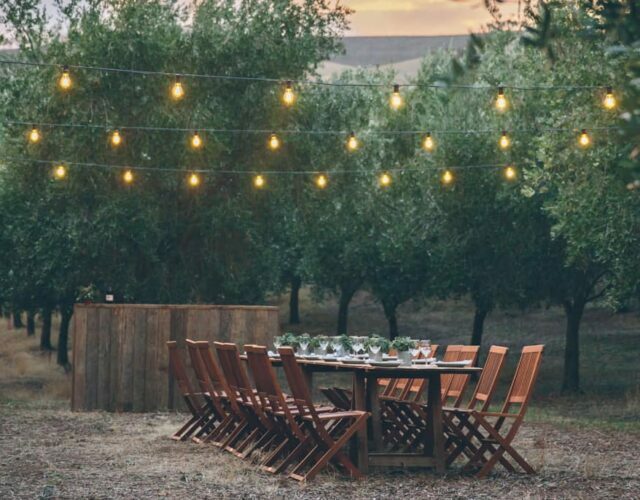 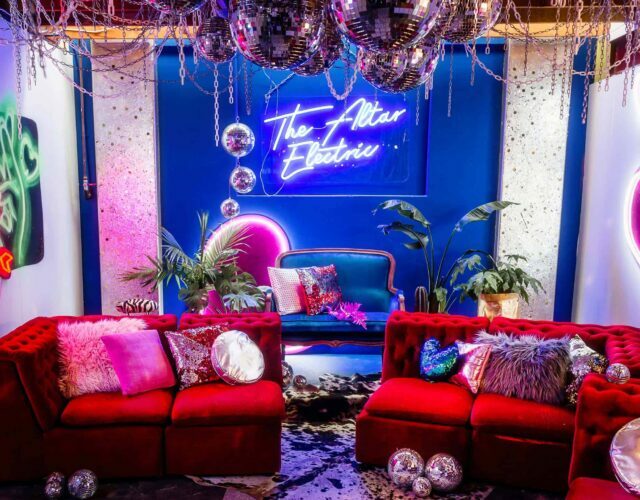 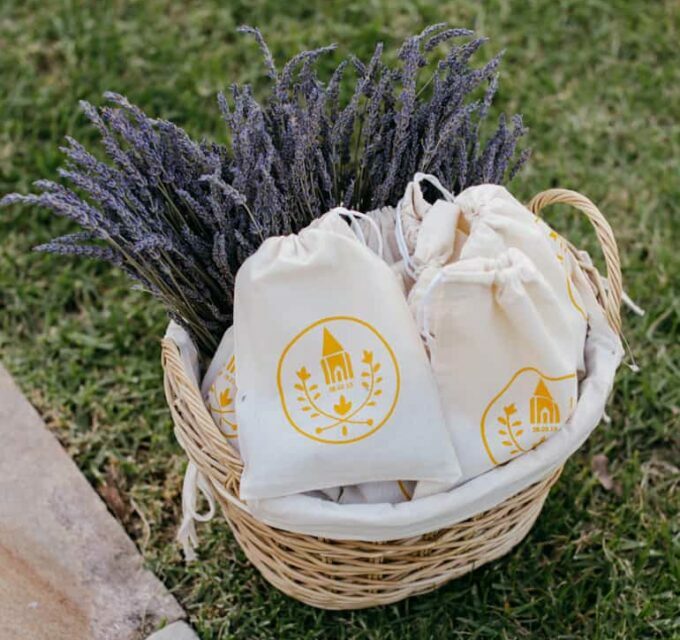 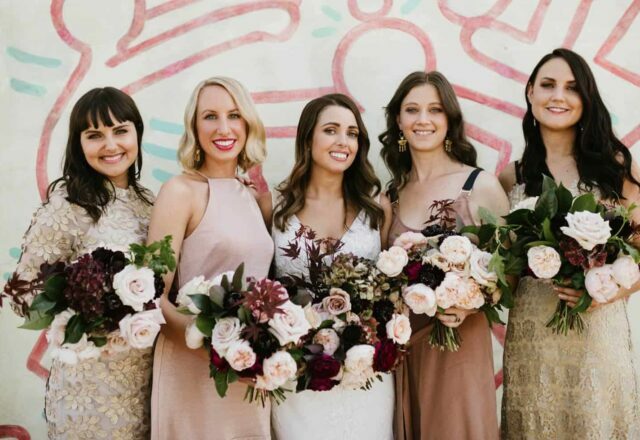 Phoebe and Luke said that not only was the food phenomenal but the Ed Dixon team coordinated the entire wedding including the styling of the reception, working with Table Art to create an elegant tablescape. 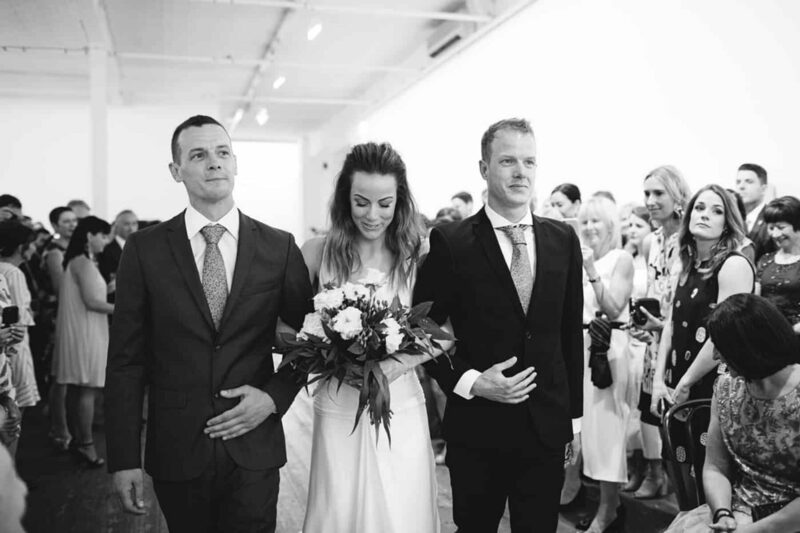 The bride’s siblings, Dan and Lucy, performed during and after the ceremony which was conducted by celebrant David Edmonds. 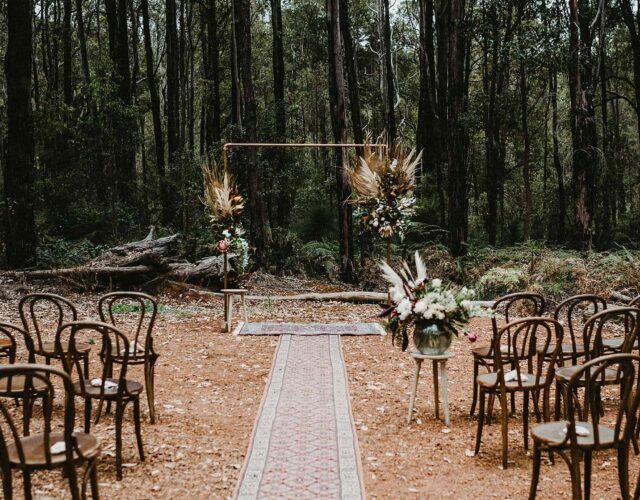 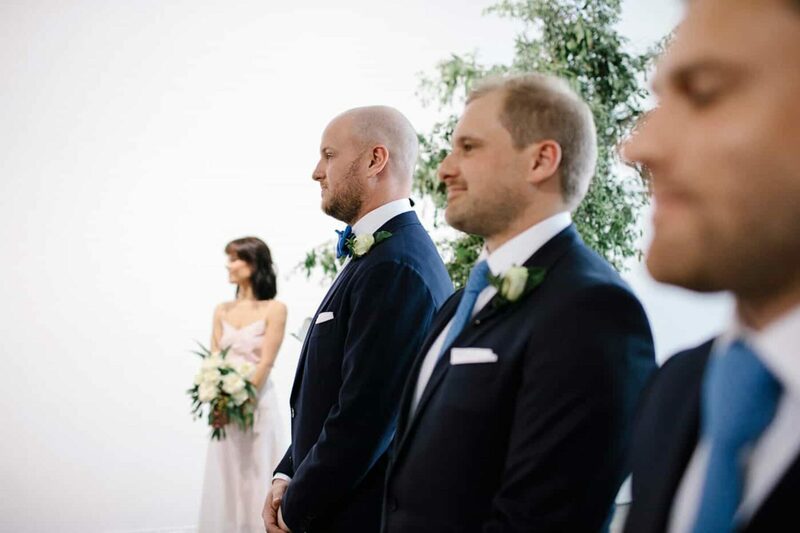 Phoebe and Luke say that David was a pleasure to work with and helped them to create a ceremony that was relaxed, personal and sincere. 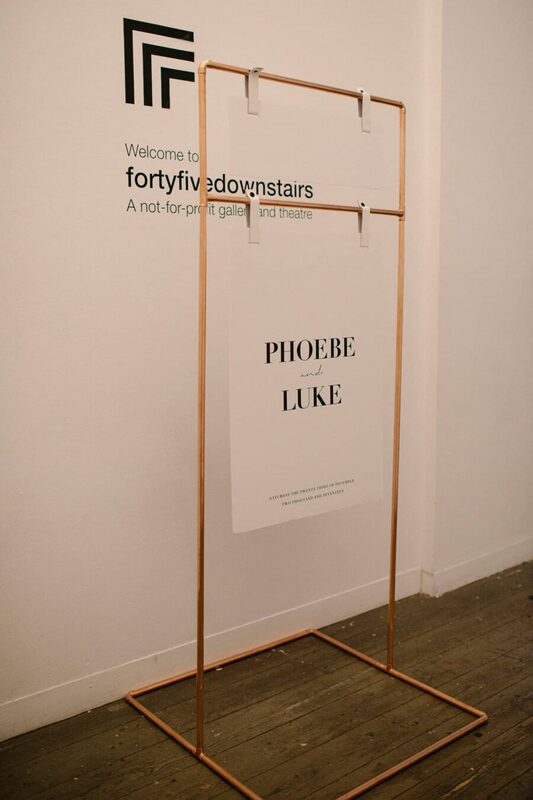 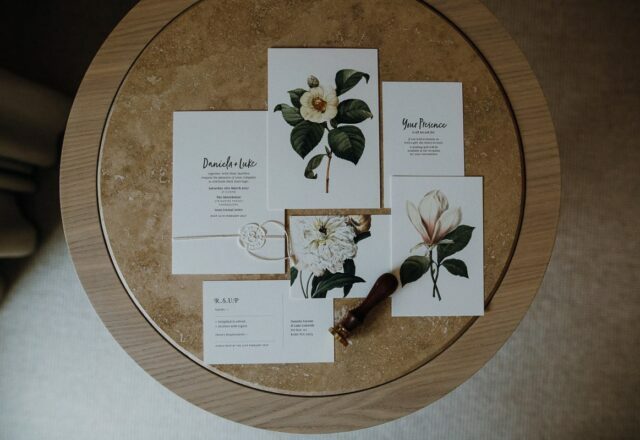 Ed Dixon Food Design not only created a stunning menu for Phoebe and Luke, but also styled and coordinated the whole affair. 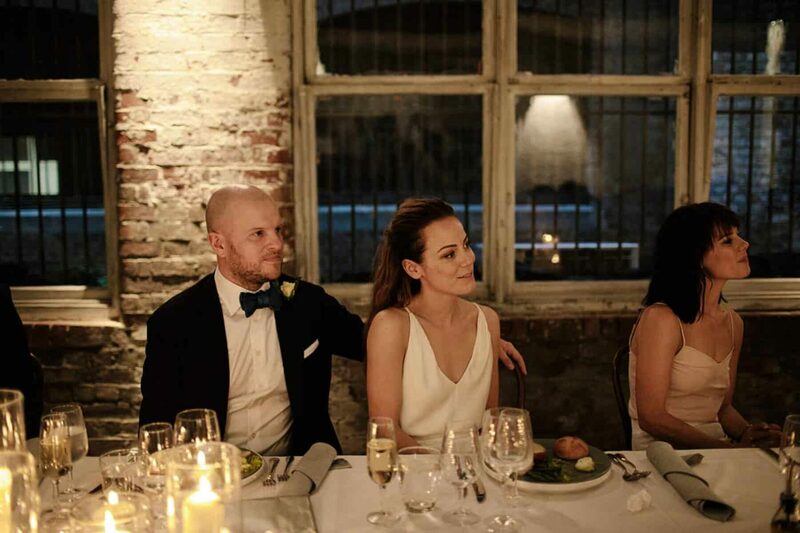 The couple tell us "The Ed Dixon team are phenomenal, and the food was outstanding!" 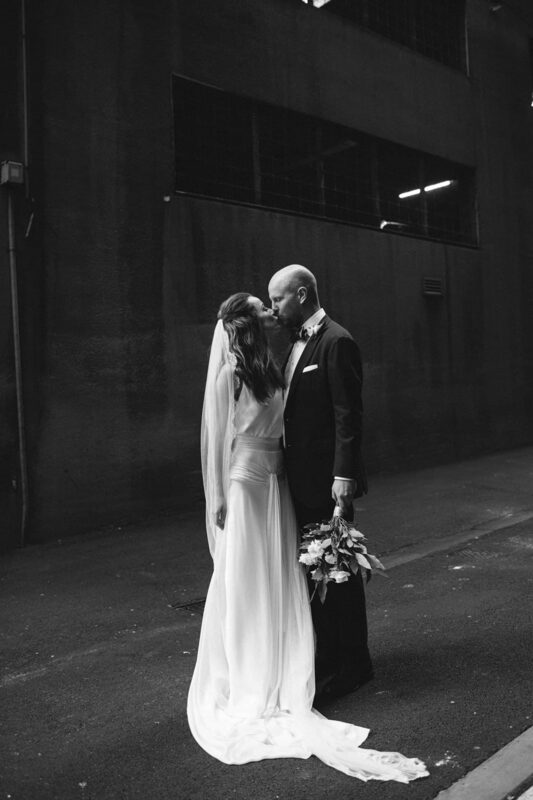 We are head over heels for Phoebe’s Delphine Manivet dress which took on an almost liquid look in the breezy Melbourne laneways. 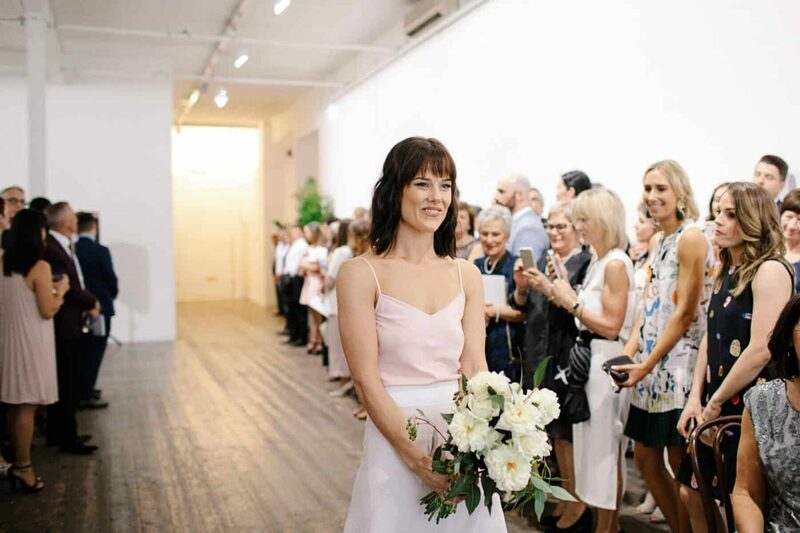 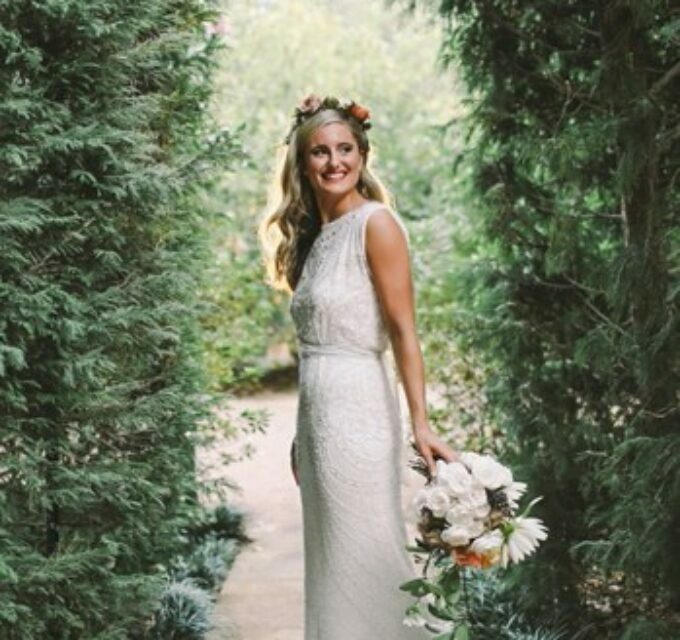 Paired with pink suede studded Valentino’s this bridal look was the perfect mix of simplicity and style.